WE LOVE WINDOW CLEANING TOO - LEARN MORE! and let us take care of maintaining it! Weekly or bi-weekly grass mowing and trimming, edging, blowing, and clearing of any debris around the property. Grass fertilization applications as required. Window cleaning is a cost effective way to make a dramatic difference in the look and feel of your home - let us make your windows sparkle! We specialize in cedar hedges, and pruning of all kinds. Trees, bushes and hedges all need a little TLC when it comes to keeping them looking their best. Why break your back with raking this season? Let us take care of the hard work and make sure your lawn is ready for winter. We do garden-bed winterizing as well! Eavestroughs need to be cleaned regularly to avoid water build up and overflow that causes damage to your roof and house. Cleaning them can be a dangerous task, let us ensure it is done safely and properly. 100% of lawns require fertilization every year to keep them healthy and green! We offer a 3-Visit program in Spring, Summer and Fall to maintain your beautiful lawn. A little thatch is healthy, but too much chokes the lawn stopping grass growth and allows weeds to take over. Dethatching by hand is back-breaking work - let us take care of it for you. Apply mulch around your trees and in your garden beds to improve moisture retention and make your property look great! Contact us for a quick quote for your property. If you use our service and become unsatisfied for any reason, we guarantee to fix it immediately for free. If you are still unsatisfied, we will refund your money, plus 10% of the costs. 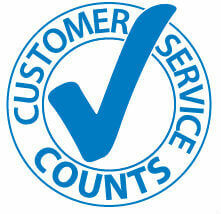 That's our guarantee to you, exceptional service and quality that we stand behind. Have a question or problem? Call us anytime at 613-930-LAWN (5296). Red Robin is owned by Jason Smith & Geneviève Rochon, partners in life and business. Jason started his life-long love of working outdoors as a young man of 17, cutting lawns for his family and neighbours, and later trained extensively in landscaping and property management. His career path, however, led him to earn his Sommelier certification which he used working in critically acclaimed restaurants as well as travelling the world on cruise ships. His quest for excellence brought him to work in Ottawa where he met Geneviève, then the General Manager of a renowned fine dining restaurant. Her career path in hospitality included over 15 years in project management and event planning, eventually leading to her to win the Ottawa Business Journal's Top 40 Under 40 award. And yet all the while, her true passion was gardening. After moving to South Glengarry, helping their aging parents gave them the insight that the population as a whole could use property maintenance help paired with friendly and kind customer service. Together they dreamed of owning their own business where they could work with people in their new community and give them the quality outdoor services that are more easily available in larger cities. And so Red Robin was hatched! 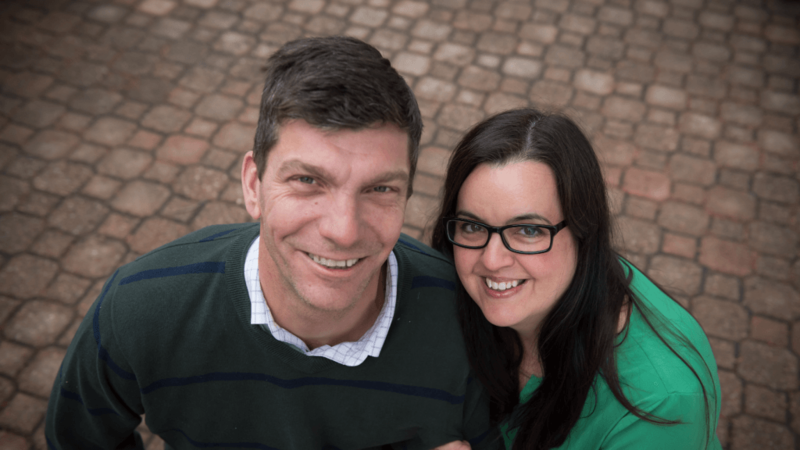 With their extensive background in lawn care and customer service, Jason and Geneviève are committed to ensuring you receive quality service and great prices from a reliable, but most importantly, trustworthy local company. Their local, family-owned and operated lawn care and property maintenance company services Cornwall, Alexandria, Lancaster, Green Valley, Glen Walter, Summerstown, Long Sault, Ingleside, and the Glengarry, Stormont and Dundas Counties. Let us make your life easier! Our staff is professional, uniformed, and bilingual. We answer our phones and emails quickly to serve you better. Our reliable teams will show up on time and get the job done, it's our promise to you. 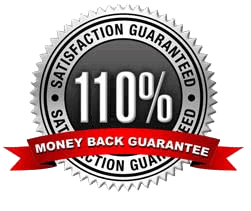 We believe in fair prices for quality work, and we stand behind everything we do with our 110% guarantee. We offer secure online payments made with your credit card monthly and we send you convenient invoices by email. Easy, fast, and accurate, our online billing system is set up to meet your needs. 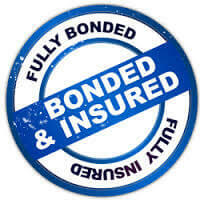 Our company is fully bonded and insured for your protection. Your property is a huge investment - you need to make the right choice when hiring a company to take care of it. Our quality work speaks for itself, but we have the experience, insurance, and satisfaction guarantee to back up our claims. The most cost-effective way to improve your lawn, core aeration promotes the health and vitality of your lawn. 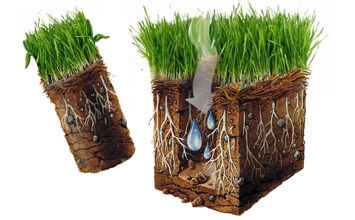 Our #1 most popular lawn application service, core aeration perforates the soil with small holes to allow air, water and nutrients to penetrate the grass roots. The result is a stronger, more vigorous, and beautiful lawn. As a business owner, you prioritize the appearance of your business - and so do we! We are proud to offer commercial customers the highest levels of service and expertise for all of your lawn mowing, garden care, and landscaping needs. We offer lawn and bed maintenance, pruning, spring and fall clean up, window cleaning, and snow and ice management. Let us take care of keeping your property looking great, so you can take care of your business. Starting from $4 per window! Window cleaning can make a huge difference in the atmosphere at your home or business. But cleaning windows can be tedious and often dangerous work. Let our professionals provide you with worry-free cleaning services and sparkling windows using our environmentally-friendly pure-water window cleaning system! We do our best to keep our prices competitive, however our main goal is to provide you with the highest quality and greatest value for your money. The below table will give you an idea of our 2018 pricing. However, we like to have a look at your lawn before making any final pricing arrangements. Also, these prices are for regularly maintained lawns. We'll probably have to ask for a higher price if the lawn is allowed to get tall. 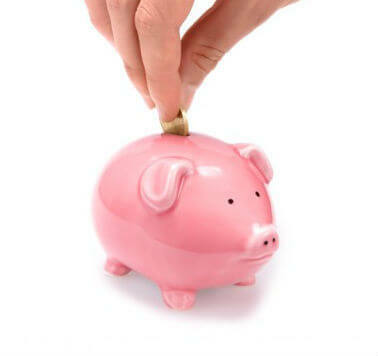 $30 is always our minimum charge for travelling to a property and performing any work. Unlike other lawn companies, we bill PER VISIT, MONTHLY! This means there are no large upfront costs, and we always only charge you for when we cut - you can skip weeks in August when your lawn doesn't need it. We send you an invoice at the end of the month, for all of the work completed that month. Just a short note to thank you for your service this summer. We were so very pleased with the work performed and the focus on customer service. Looking forward to next year. Thanks for the great job you did on the house...we think that we should pay you more! Thank you again for the excellent work and we were blown away by the leaf blower! Thanks for that!! We will certainly consider you for any future work. Fill out the form and we'll get back to you promptly to give you an estimated cost for your lawn and garden needs. C'est notre plaisir de vous servir en français! Where will we be working? Proud to serve Cornwall, Alexandria, Lancaster, South Lancaster, Glen Walter, Long Sault, Ingleside, Summerstown, Apple Hill, Green Valley, Williamstown, Martintown, St. Raphaels, Bainsville, Moulinette Island, Hamilton Island.